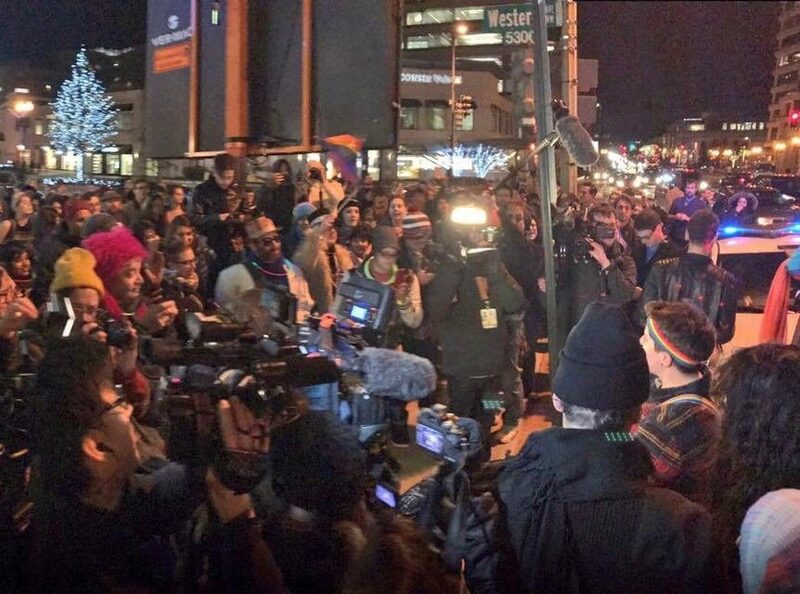 WASHINGTON D.C. (WeAreChange) — Four more journalists have been charged with felonies after they covered the unrest surrounding the inauguration of Donald Trump. These charges come after two journalists, Evan Engel of Vocativ and Alex Rubinstein of RT America, were arrested and charged with felonies while covering the same unrest on Friday morning. A documentary producer, a photojournalist, a live-streamer, and a freelance reporter were each charged with the most serious level of offense under Washington DC’s law against rioting, after being caught up in the police action against Trump protestors. These charges mean that the six media personnel face up to 10 years in prison and a $25,000 fine if convicted. Also arrested while covering the demonstrations at 12th and L streets and later charged were Shay Horse, an independent photojournalist and activist, and Aaron Cantú, a freelance journalist and activist, who has written for outlets including the Baffler, the Washington Spectator, and the New Inquiry. Both deny wrongdoing. The indiscriminate arrests of anybody who happened to be in areas where protests were occurring is a direct threat of the First Amendment and is very concerning to many, especially those involved in the independent media industry. It should be noted that most of the journalists arrested were freelancers.